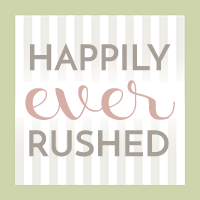 Happily Ever Rushed: What Could Make Your Living Space Even More Appealing? What Could Make Your Living Space Even More Appealing? If you had to choose one space in your home that you really loved, which would it be? Some people will pick their newly renovated bathrooms that they’re obsessed with. Some people will always want to choose their kitchens because this room is generally the ‘heart’ of the home. But for most of us, the living room will always win. Because your living space is the one area in the home that you get to relax in, unwind in, and really be yourself. So, of course, you want it to look and feel perfect. But sometimes you may look around and feel as if your living room just isn’t living up to your expectations. Whether you’ve worked on your interior decor recently or not, you may not feel that your living space is as comforting as you want it to be. So why not work on that? If you’re someone that’s all for curb appeal and making your house a home in a really aesthetically pleasing way, then this is going to be a great challenge for you. Because sometimes, you may look at your living space and feel as if it’s looking a little shabby - or at least a little bit boring. And then you have no idea what you can do to make it more exciting. But the good news is, there’s always a lot that you can do. So if you’re looking for some inspiration, here are a few points to get you started. So first of all, we have color. Even if you’re going for a monochromatic or minimal space, color can really bring a space alive. So why not bring in a really fun colored chair or paint one wall a specific color? You don’t have to go too crazy here, but if you start to bring in the odd bit, it’s going to really make the space feel cheerful. Another tip is to play around with lighting. Because light can really impact on a room. But don’t just buy a basic lampshade and leave it as that. Because that’s just really boring! Instead, look for fun chandeliers or even specialist lighting that can become a feature in the room. Or something that allows you to really light the space up in an interesting way. Sometimes, you’ll think that you need to buy new furniture to make a space look a lot better. But that doesn’t always have to be the case. It may just be that you need to rearrange the furniture to get more out of the space. Sometimes, being a lot cleverer about where you’re putting things can make the space look so much better. Another really fun idea is to start to bring the outside in. And you can do this in a range of ways. First of all, you could look at sliding patio door options to blend your garden with the living space. You could even then create a dining space right outside that allows the doors to connect both areas. But not only that, you could use house plants to bring a natural feel into the room too. Next, you’re going to want to think about switching up the main colors in the space. Now, this is a step on from the idea of a color pop. Maybe you could repaint the walls to change the main focal color in the room? Or maybe you just need to change your soft furnishings to replace the color scheme to something more exciting. When we’re talking about making your living space more appealing, focusing on the practicality of the space is also so important. Because you’ll always want the room to be comforting. If it’s not right now, then maybe investing in new seating or soft furnishings to make the room more comfortable will also make it more appealing. And then the last thing you could do heavily involves staging. Home staging is something that interior designers and realtors do when trying to sell a house. It’s a way of ‘staging’ your furniture and home decor to make your house look more appealing to buyers. But, you can also use this trick to make your living space more appealing to you too! So think about the kinds of decorative touches that you could bring in that makes you home feel more complete.